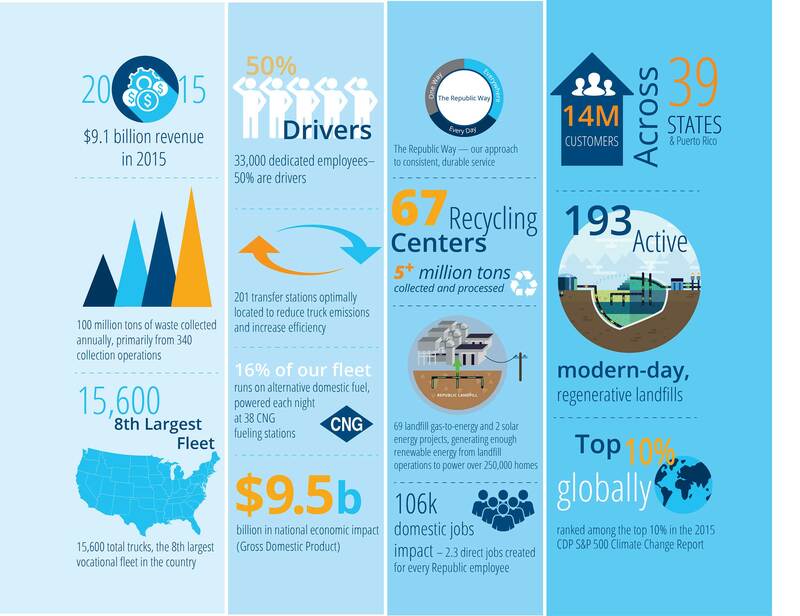 Republic Services, Inc. (NYSE: RSG) released today its latest Sustainability Report for the 2015 Fiscal Year. 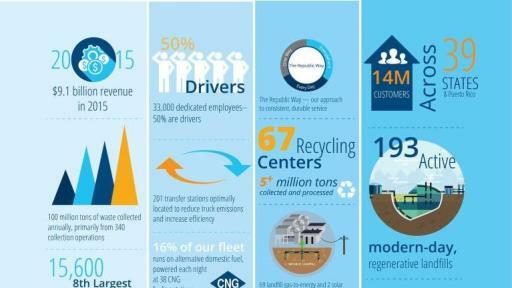 The Report depicts the Company’s efforts to further improve its environmental and social impacts through decreased vehicle emissions, innovative landfill technologies, use of renewable energy, community engagement, and employee growth opportunities. 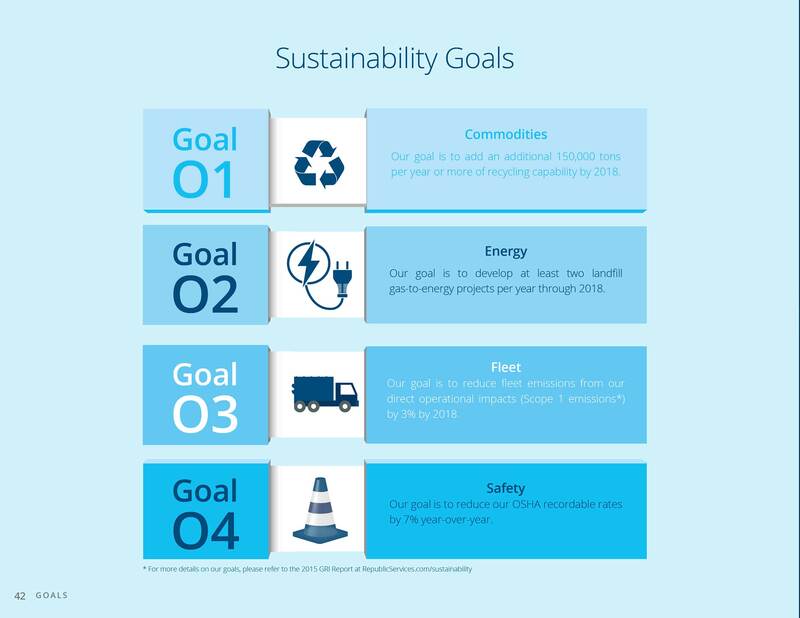 The 2015 Sustainability Report demonstrates continued progress toward Republic’s four sustainability goals, and represents its latest achievements as part of its Blue Planet™ sustainability initiative. 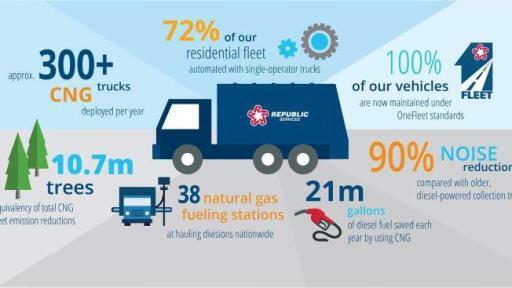 Operations: Republic operates a fleet of nearly 2,500 Compressed Natural Gas (CNG)-powered vehicles, which represents approximately 16 percent of its entire vocational fleet. 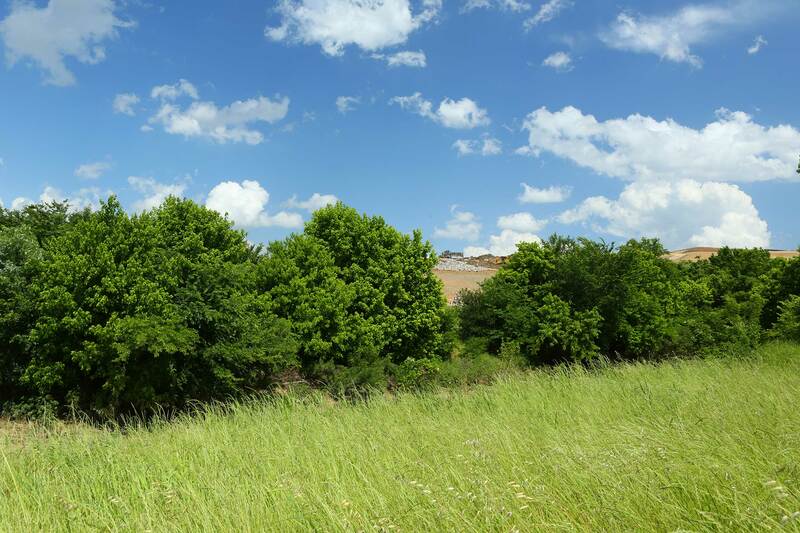 According the U.S. Environmental Protection Agency (EPA), the benefits of Republic’s CNG-powered fleet are equal to planting approximately 10.7 million trees annually. 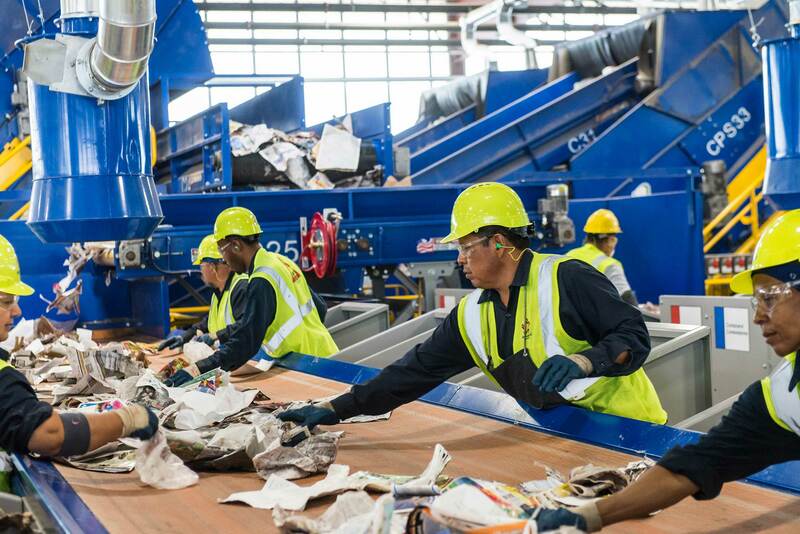 Materials Management: Republic is taking a leadership role with customers, municipalities and governments to address the market dynamics affecting the nation’s recycling model, while increasing recycling capabilities in several markets across the country. 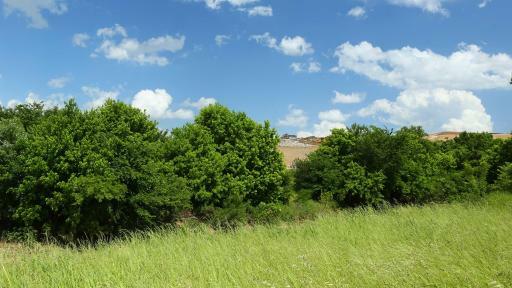 According to the EPA, Republic saves 15 million tons of carbon dioxide equivalents through its recycling operations, which is nearly equal to the Company’s entire carbon footprint. 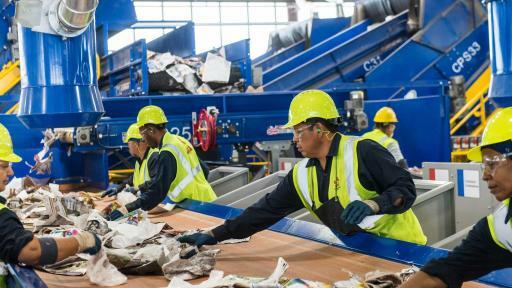 Communities: The Company believes serving its 14 million customers goes beyond handling day-to-day recycling and waste needs. At Republic, service is about being a Good Neighbor to the communities where employees live, work and raise their families. In the last year, Republic donated over $5 million in cash and more than $6 million in community sponsorships, as well as countless volunteer hours to non-profit organizations across the country. Safety: Ensuring that employees return home safely at the end of each day is a top priority at Republic. 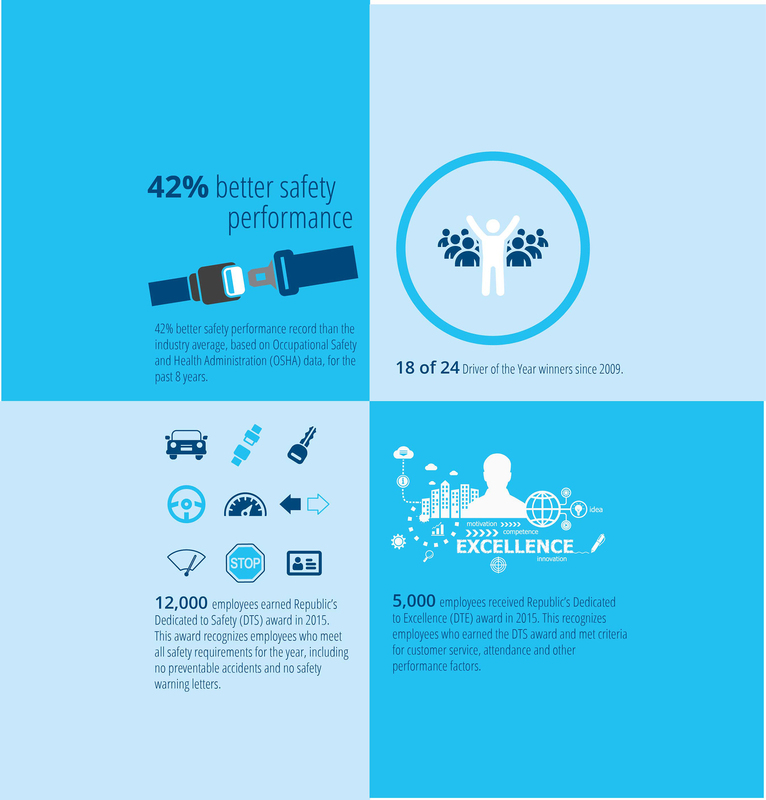 In 2015, Republic continued to achieve a 42 percent better safety record than the industry average, based upon Occupational Safety and Health Administration (OSHA) data. People: Republic cannot thrive without great people, which is why the Company is focused on attracting individuals across professions who are truly committed to serving customers and protecting the Blue Planet. Republic has earned a score of 80 out of 100 on the Corporate Equality Index, and was listed as one of the 30 Most Meaningful Companies to Work For in America by Business Insider. 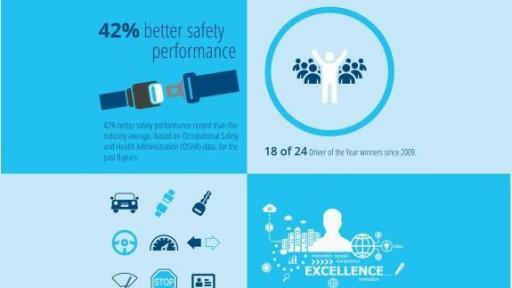 Safety: Reducing OSHA recordable rates by 7 percent year-over-year. Also in 2015, Republic was among the top companies recognized by the Carbon Disclosure Project (CDP), a leading international non-profit organization dedicated to measuring and disclosing environmental information, in the 2015 CDP S&P 500 Climate Change Report. Republic earned a Disclosure score of 98 out of 100, which reflects its strong commitment to transparency, quality and completeness, and an A- in Performance. Achieving an A is the highest Performance score possible. 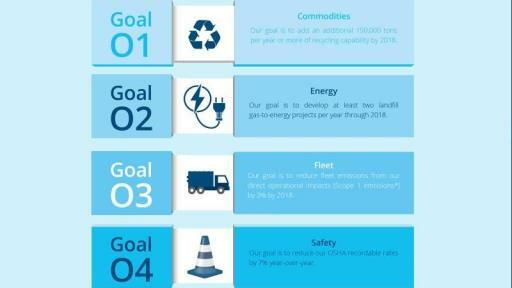 Known as the Blue Planet sustainability initiative, Republic Services is defining its approach to corporate social responsibility through the practices and programs outlined in its 2015 Sustainability Report. To view and download the Report, go to https://www.republicservices.com/sustainability.